One of the most critical programs I’ve always used is Windows Photo Viewer. It’s a lightweight image viewing program that has been built into Windows since XP. It’s a simple program and when set as the default photo viewing program in Windows, allows you to double click image files to preview them. It has back and forward buttons to cycle through additional image files in the same directory which makes it far superior to the Windows 10 Photos app which only allows you to look at one picture at a time. 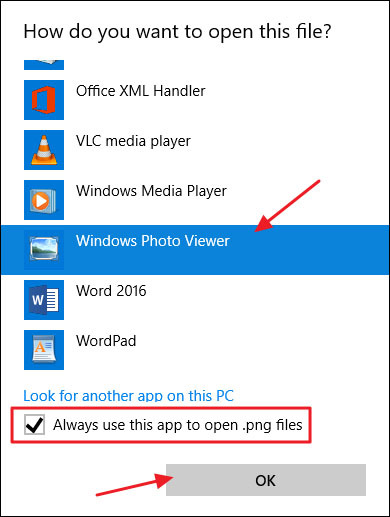 If you install Windows 10 as a fresh copy and are not upgrading from Windows 7 or 8.1, you will notice that Windows Photo Viewer is absent with no way to enable it. It’s still built into Windows, but it’s hidden and must be enabled by adding a registry entry. If you upgraded to Windows 10 from a Windows 7 or 8.1 system, you can skip this step and go to the next section. 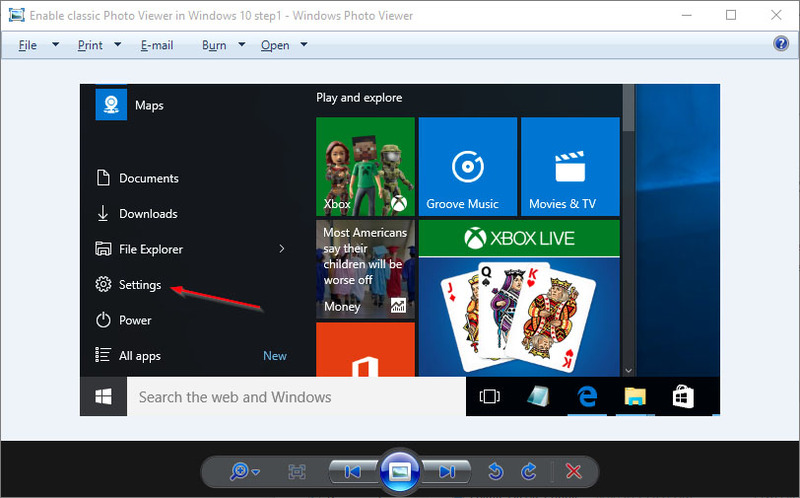 To enable Windows Photo Viewer, its registry entries need to be added. We have created a registry entry which does this. Click the link below to download it. Once you’ve downloaded the registry entry simply double click it and run it. Next, we will make Photo Viewer the default image viewer. To make Photo Viewer the default image viewer, you simply need to right click an image file, choose “Open with” and click “Choose another app”. 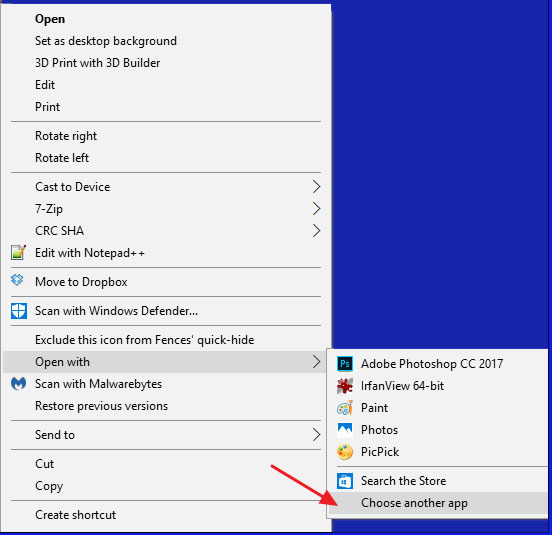 You need to repeat this process for each image file type you wish to associate Windows Photo Viewer with or you can take a shortcut by using another registry edit. Included with the registry entry above, is another registry entry which makes Photo Viewer the default mage viewer for .jpg, .jpeg, .gif, .png, .bmp, .tiff and .ico files. Double click it and run the “Make Photo Viewer Default Image Viewer” registry and you’re done!